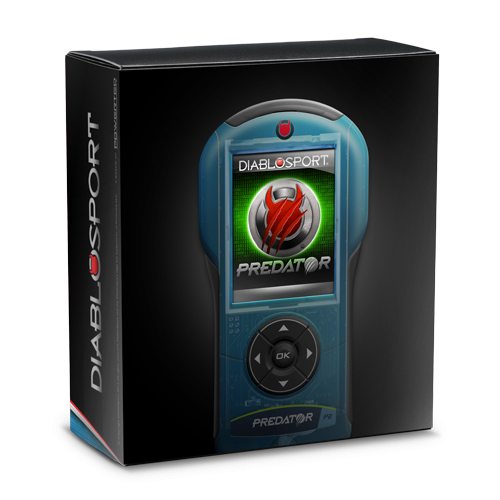 DiabloSport Predator 2 Programmer for 05-18 Chrysler / Dodge Cars PN 7301. 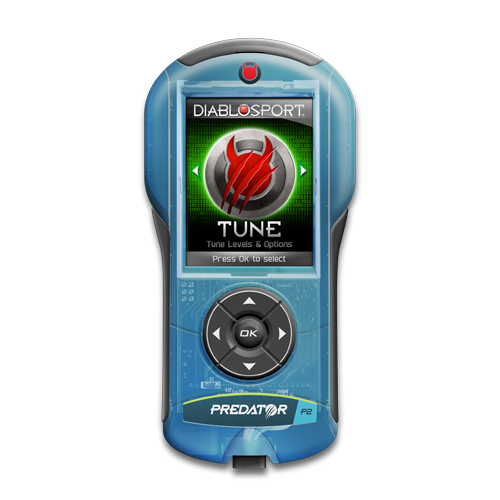 Whether you have a 3.5L, 3.6L, 5.7L Hemi, 6.1L or 6.4L SRT / ScatPack, or the almighty 6.2L SRT Hellcat, we have the tuner for you! 50-State Legal and ships within 24-48 hours. Fits 05+ Chrysler 300, Dodge Challenger, Charger & Magnum. 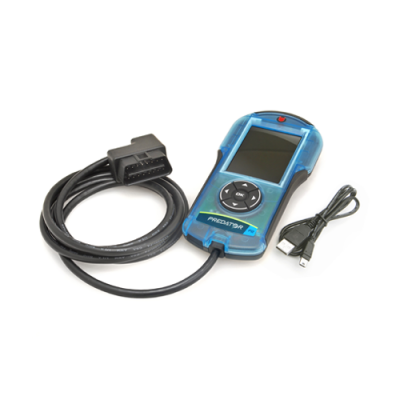 The Predator U7135 was the first handheld programmer ever made for Dodge Challengers, Chargers, and 300s. It offered unsurpassed performance and options for HEMI engines and quickly became the industry standard for tuners in the Chrysler world. In fact, most people with a HEMI car that have done any type of performance upgrade have probably had a Predator in their glove box. The Predator 2 picks up where the original Predator left off but offers new creature comforts like a color screen, USB updates, and more. The new Predator adds high performance tuning and improves your car's shifting and overall performance. The Predator 2 will let you adjust cooling fan on/off temps, axle ratio settings, re-calibrate your speedometer for larger aftermarket tires, and tons more. The Predator is tool that HEMI car owners should have in their toolbox! *NOTE: This product is not available for use with custom tuning software. Simple, Plug and play performance- add horsepower and torque without even popping the hood! Pre-Loaded performance options allow for 50 state legal performance increases. Customize your tune with the Predators internal adjustable parameter options. Internet updateable using free Ignition Update software. High Resolution Color Screen, and 5 buttons for easy navigation. NOTE: This device does NOT accept custom tunes from CMR. For Custom Tuning, see the Predator Pro Part number 7045.